Since its official launch in October 2014, Safety Check has been activated only a handful of times, including after the recent earthquakes in Afghanistan, Chile and Nepal. More than 4 million people used the tool to mark themselves safe following the Paris attacks. This was the first time the program was used outside of a natural disaster. Alex Schultz, Facebook’s vice president of growth, notes that “communication is critical in moments of crisis.” As social media grows in popularity as a go-to resource for help, what other tools are there for emergency response? Whether you’re traveling overseas on business, in a parking garage with poor cellular coverage or sitting at your desk, Guardly alerts and connects you with your organization’s security operations instantly. Launching Guardly activates its location detection capabilities, transmitting real-time GPS location and indoor positioning within buildings (for select enterprise customers), while providing two-way communication with private security, 911 authorities and safety groups. Administrators within your organization may also send mobile alerts based on location or user-group, ensuring relevant and reliable messages in case of an emergency. By the end, more than 18,000 people had been confirmed dead and the elements had completely demolished large portions of Japan’s phone system, leaving citizens no way of contacting loved ones to see if they were okay. 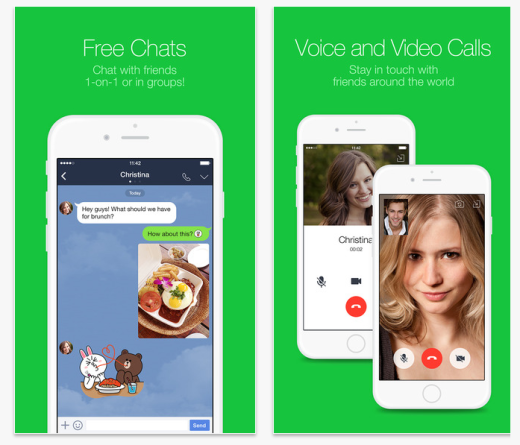 Months later, LINE Messenger, a subsidiary of South Korean internet company Naver, was launched. Providing free IM and calling through various devices, LINE soon became the world’s fastest-growing social network in the area – exceeding Twitter use within a year. Though widely accepted as a messaging app, LINE has helped thousands of users stay in contact in emergency situations. 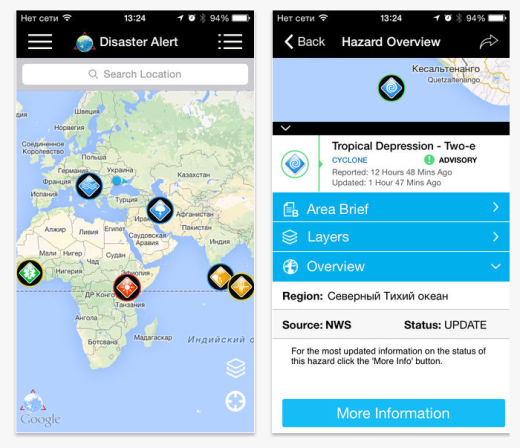 The mobile application from Pacific Disaster Center’s World Disaster Alerts, Disaster Alert provides mobile access to multi-hazard monitoring of and early warning for natural disasters around the globe. By accessing the DisasterAWARE platform, it provides users with near real-time access to data on active hazards globally — showing events that are designated potentially hazardous to people, property, or assets. The app is currently used byalmost 1.5 million worldwide. While Life360 is portrayed as more of a way for families to keep in touch, it also has the ability to connect someone who might be trapped and needs help. 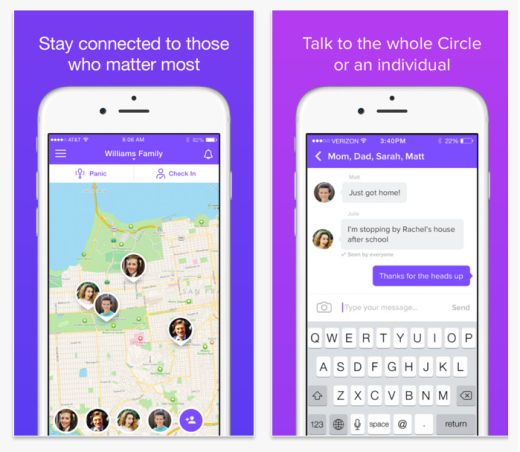 Life360 lets a family set up a private network, then with a click of a button, they can let each other know where they are and if they’re safe. During natural disasters, many people are unable to get through to loved ones on their cellphones. Still, thousands of people using Life360 could instantly tell their loved ones that they were fine. Available on iPhone, Android and Windows Phones, user can download the app for free. 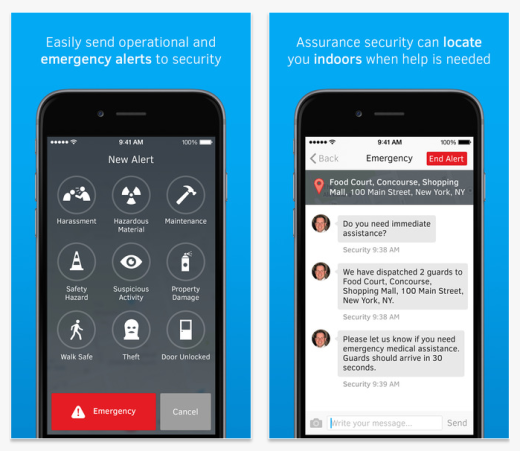 The app notifies your contacts of your location and safety status. The app also has a panic alert feature you can activate to immediately contact family members via text, email and a voice call to give your location at the moment you need help. There are also options for regular feature phones. For family members without a phone, there is an additional GPS device that can be provided for a fee. SirenGPS brings together collaborative emergency communication, management and response by connecting everyone in a community to first responders and allowing first responders to communicate with each other, all on a single platform. Although over 70 percent of 911 calls are made from cell phones, emergency responders can only track a caller’s location to the nearest cellphone tower. SirenGPS allows first responders to determine the precise location of 911 callers. 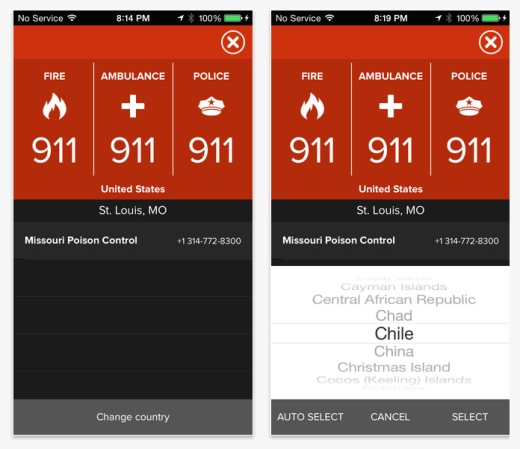 The app also enables real-time, two-way communication in a crisis, even when cell phone service is down. Additionally, first responder agencies — such as fire, police and EMTs — allows credentialed first responders to communicate and share tactical awareness tools when they arrive on a scene. This user-centered Early Warning and Vulnerability Alert System (EWVAS), Red Panic Button, allows one-to-many mode of communication. 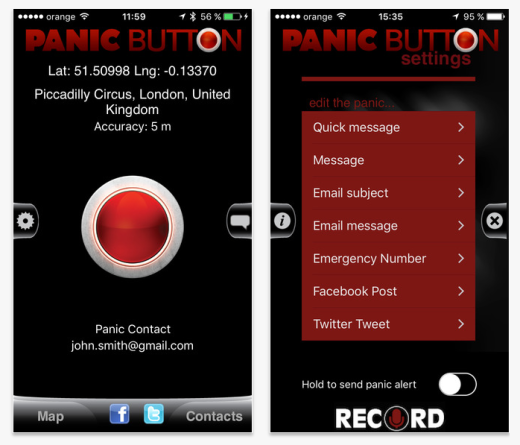 By simply pushing the Red Panic Button, the app will send your GPS coordinates and a link to Google Maps, by SMS or email, to a previously specified contact list. You can also enable the app to post to you Facebook or Twitter. 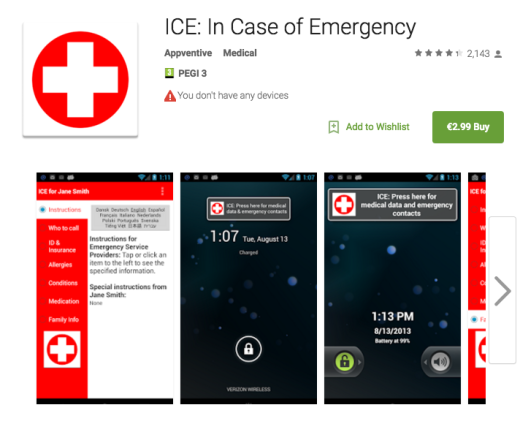 The ICE app, part of the Appventive family, stores important information for first responders and hospital staff to use in case of an emergency including emergency contacts, insurance information, doctor information, medical condition and anything else you would like to provide. Should you be in an accident and unable to unlock your phone, the app can still be used even when the phone is locked. The ICE lock screen also includes an optional “if found” message in case you lose your phone. The app is currently available in 13 languages allowing users to switch between them in case an emergency arises while you are traveling. While no tool is perfect for all disaster situations, and we hope no one ever has to use them, we also hope that you can find some solace in knowing there are multiple apps out there just in case.